Japan’s Tokyo beat Beijing, Paris, London and Seoul to the No.1 position in leading data and analytics company GlobalData’s, company based financial analysis of 25 global cities in 2017. In its latest research, the company considered the 25 cities with the highest GDP globally and assigned them their ranking based on the total revenue generated by the public companies in each city during 2017. Geographically 19 of the top 25 cities are based in developed economies with the remaining six located in emerging nations. The US has the most cities by country with 12 and China has five. 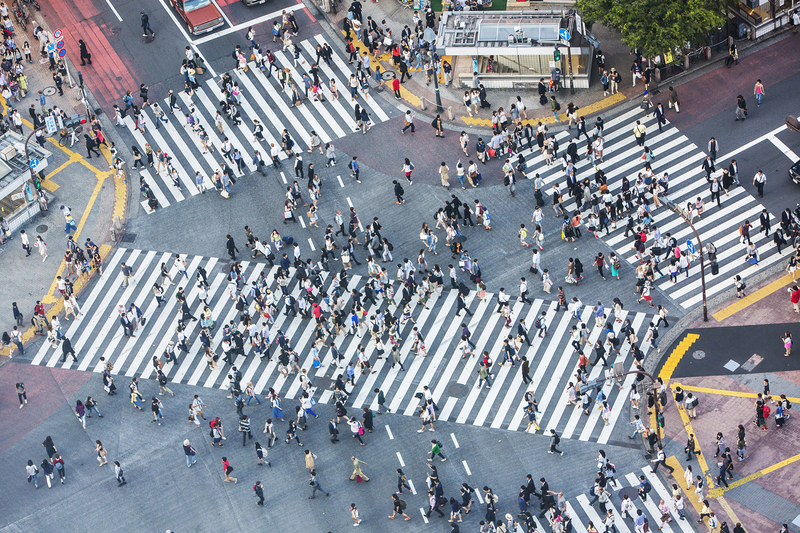 Collectively, the top 25 cities have approximately 8,900 listed companies, of which 27% are based in cities in Japan, followed by the US (16%), China (16%), Hong Kong (15%), South Korea (9%), Singapore (7%), the UK (7%), France (2%) and Russia (1%). The companies from the top 25 cities collectively account for 38% of the aggregate revenue of the leading 40,000 globally listed companies in 2017. 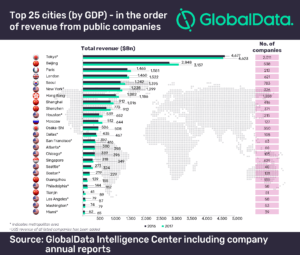 The combined revenue of companies from GlobalData’s top 25 cities list increased by 7.5% in 2017 versus the previous year. Cities whose companies performed particularly well with an aggregate revenue growth of over 10% include, Tianjin, Moscow, Houston, Seattle, Shenzhen, Seoul, Guangzhou, Shanghai, and Beijing. ‘*’ The source data for this analysis has been taken from global stock exchange share price and market cap valuations together with end of year numbers from the companies own latest annual reports.